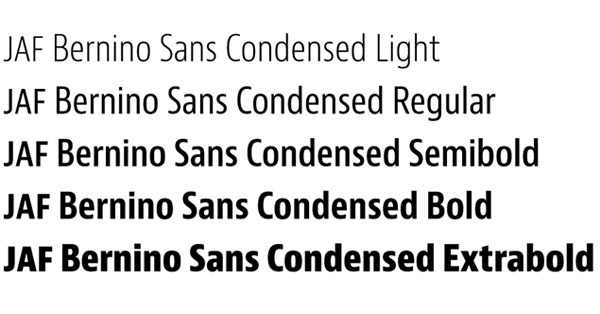 JAF Bernino Sans Condensed is the endorsed mobile font. Reduce the screen real estate required for navigation elements while retaining minimum touch standards. This will provide a better user experience and increase screen space for content. The nature of a typeface developed for the web provides significant improvements to legibility and readability, particularly on small screen devices. An appropriate typeface is required to match the growth in mobile views and the ongoing development of applications and services for the web. This includes the ‘responsive design’ approach endorsed by the WMC.